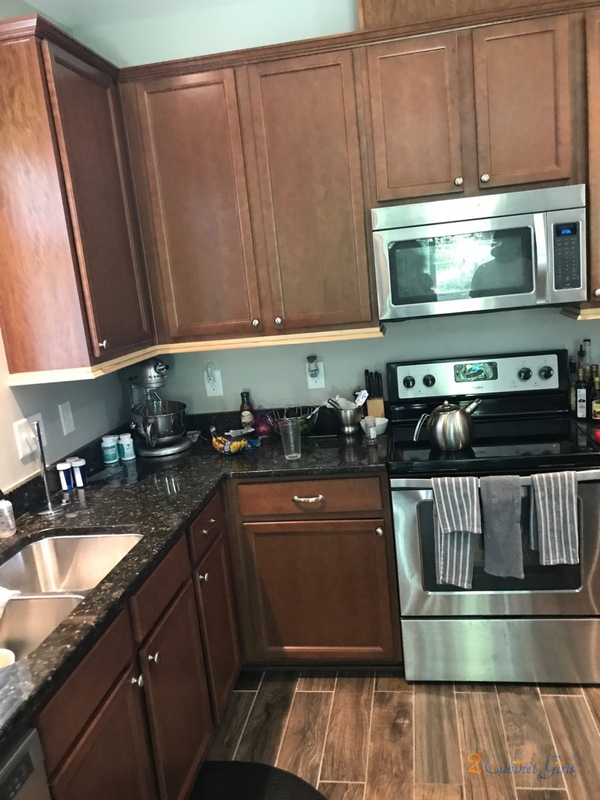 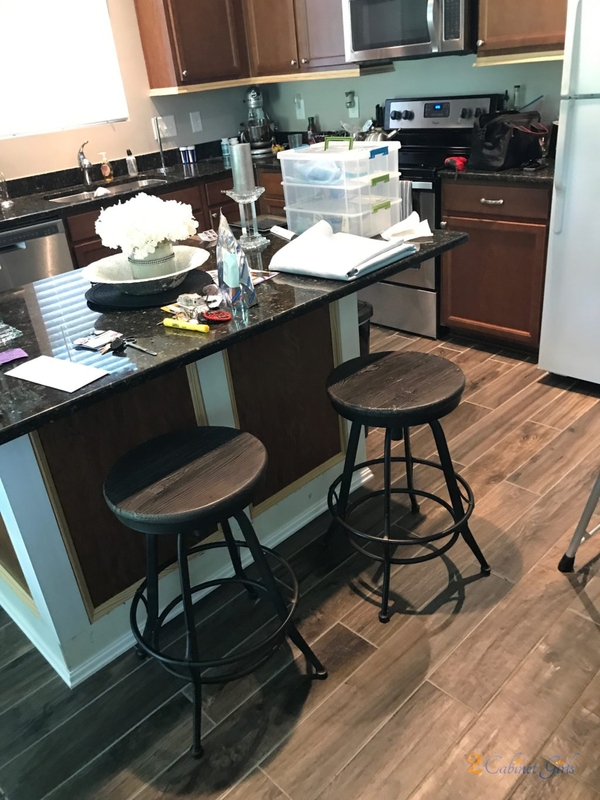 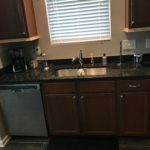 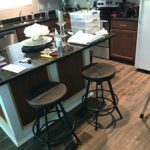 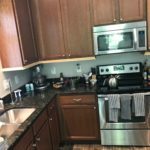 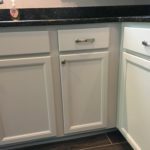 Balboa Mist came to the rescue (again) in this kitchen. 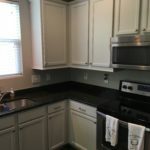 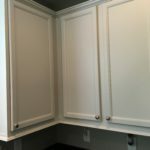 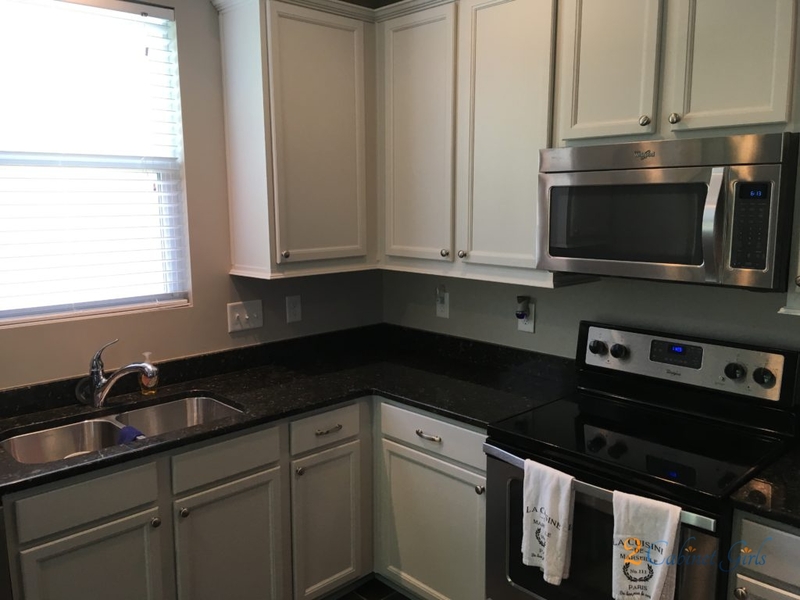 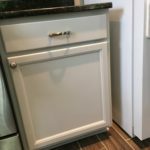 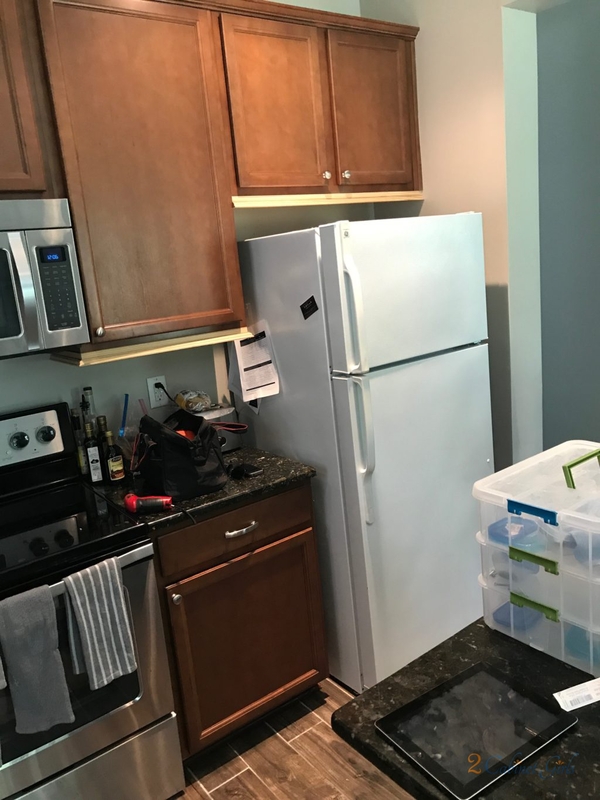 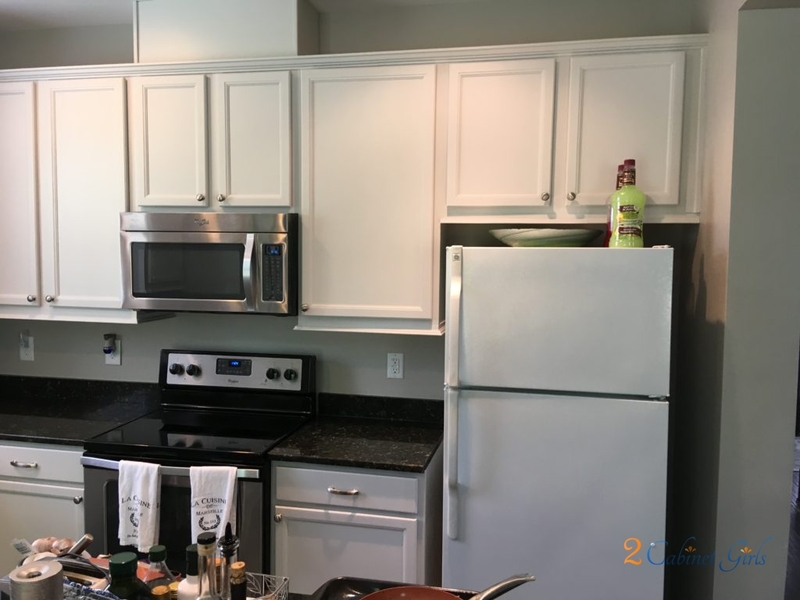 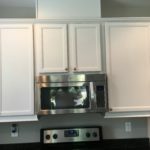 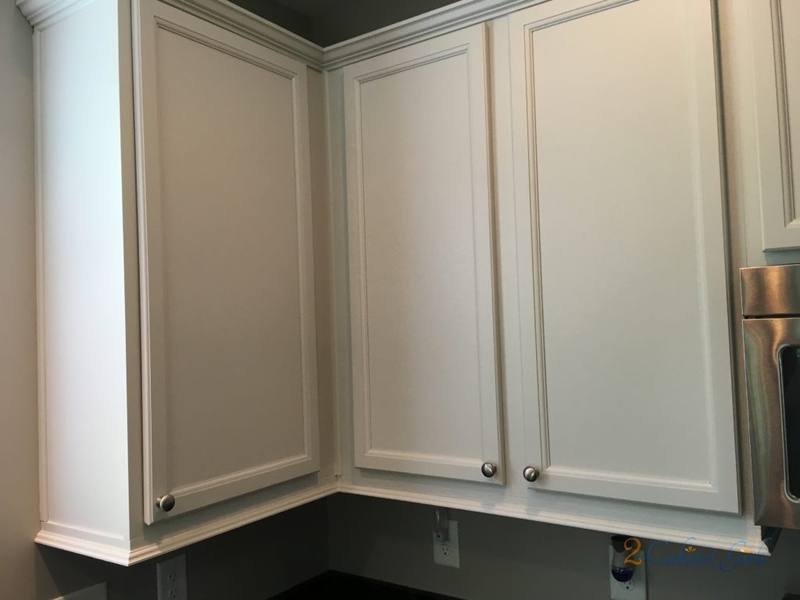 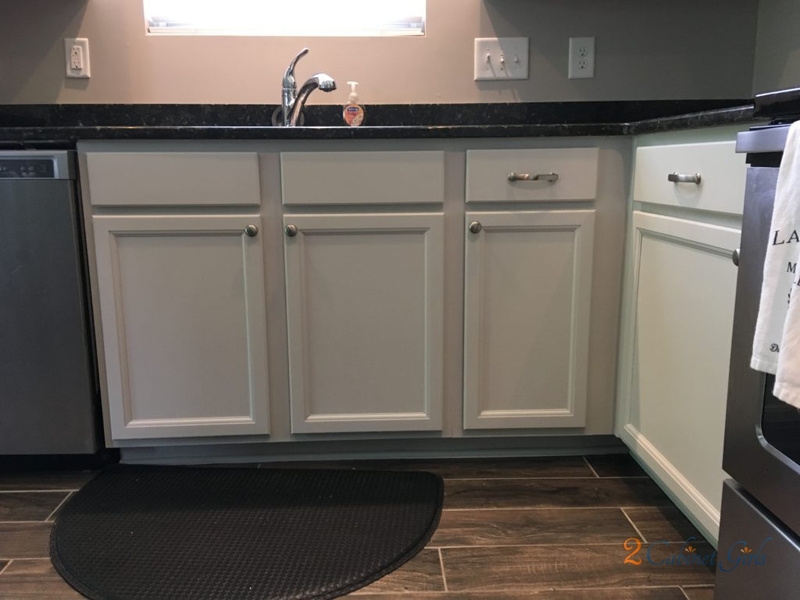 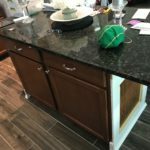 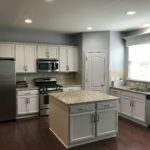 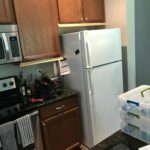 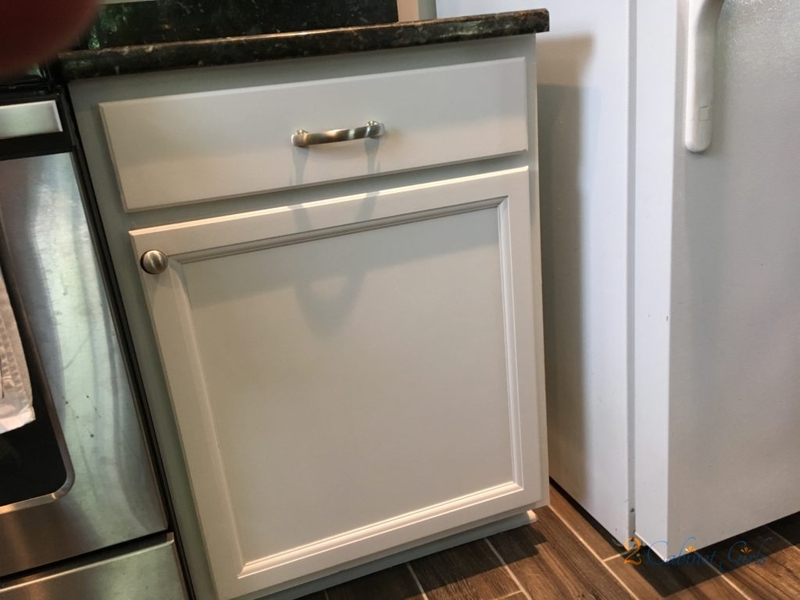 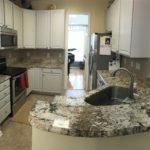 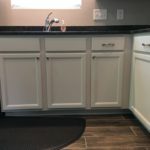 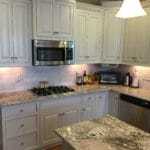 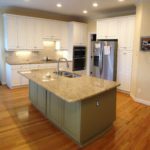 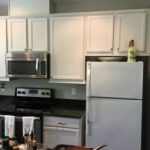 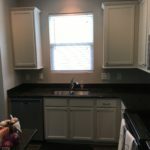 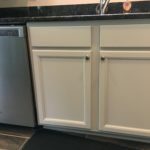 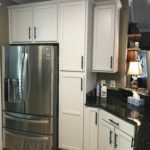 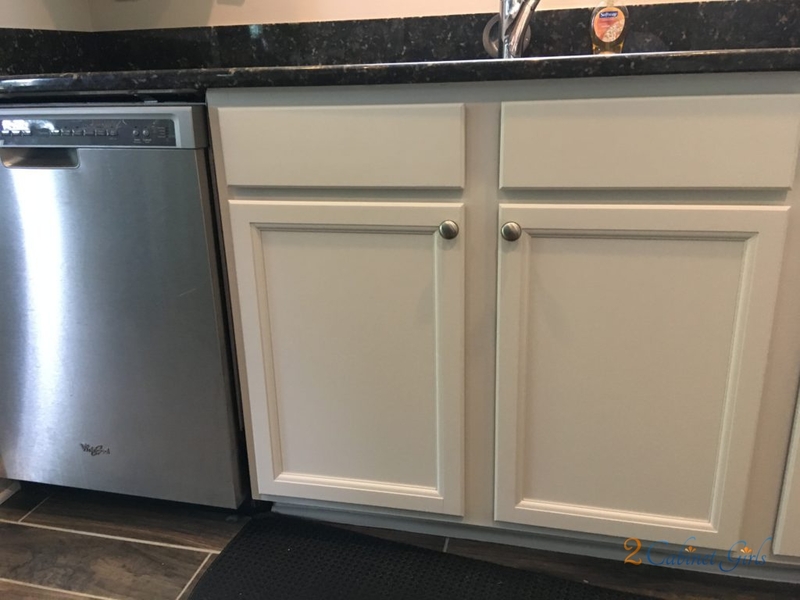 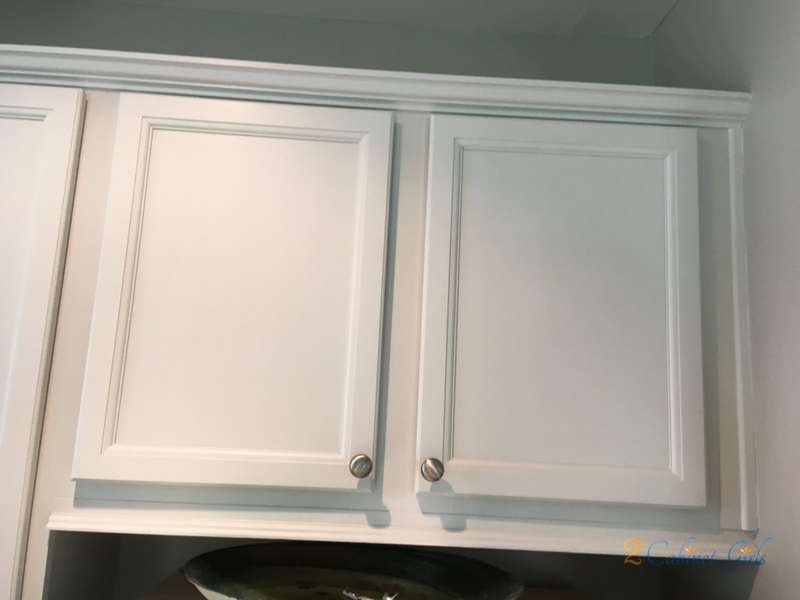 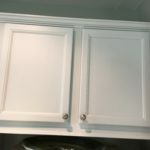 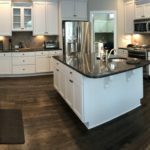 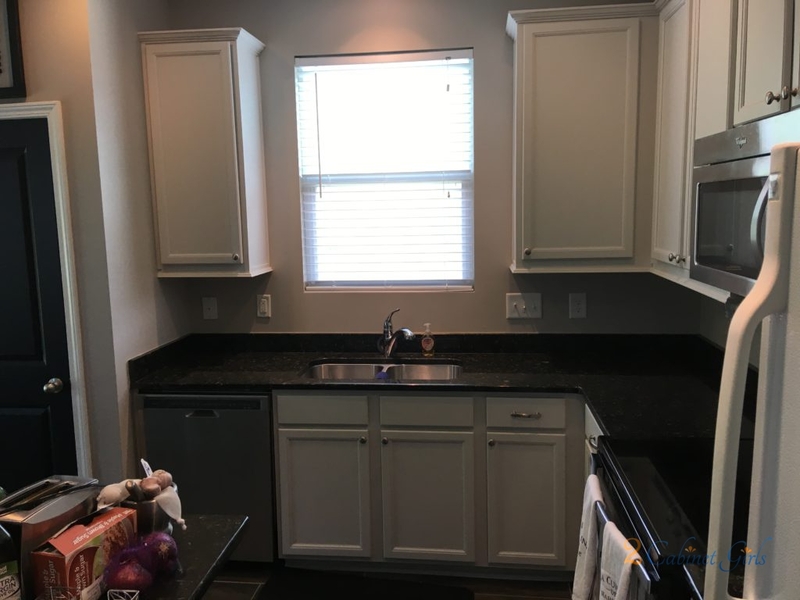 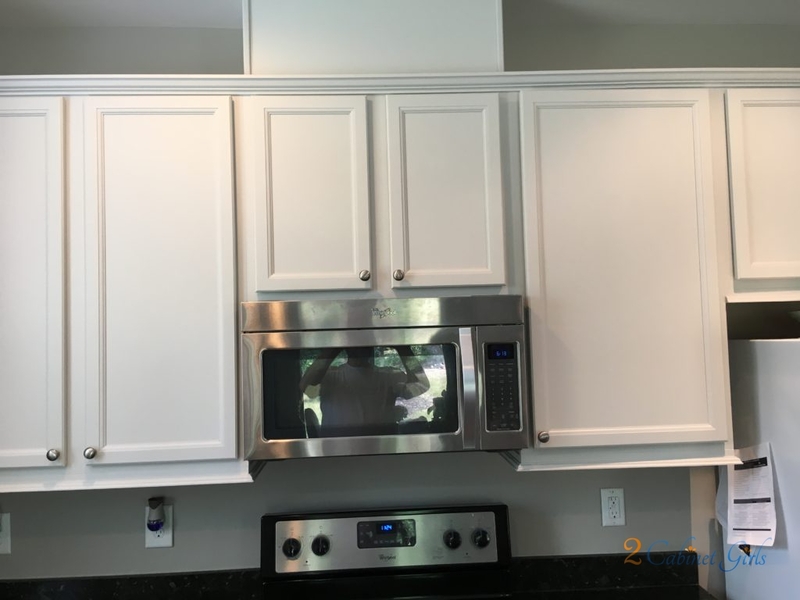 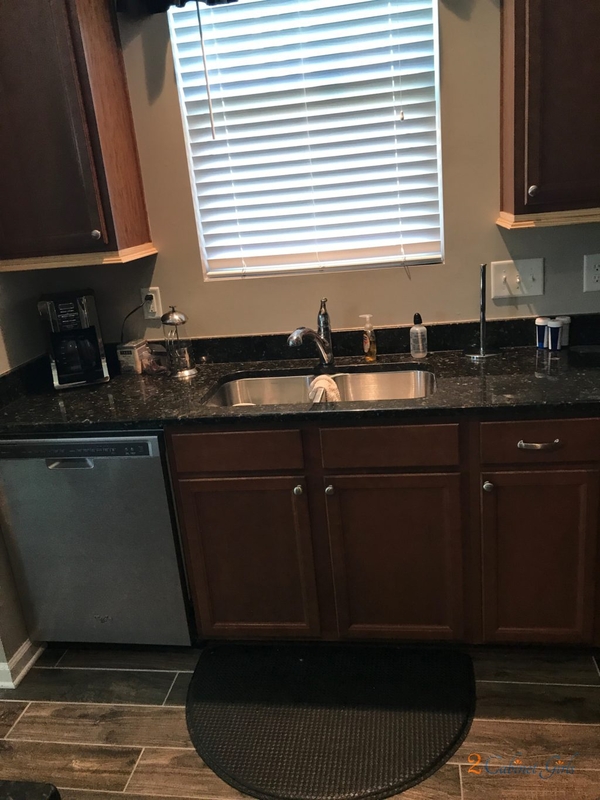 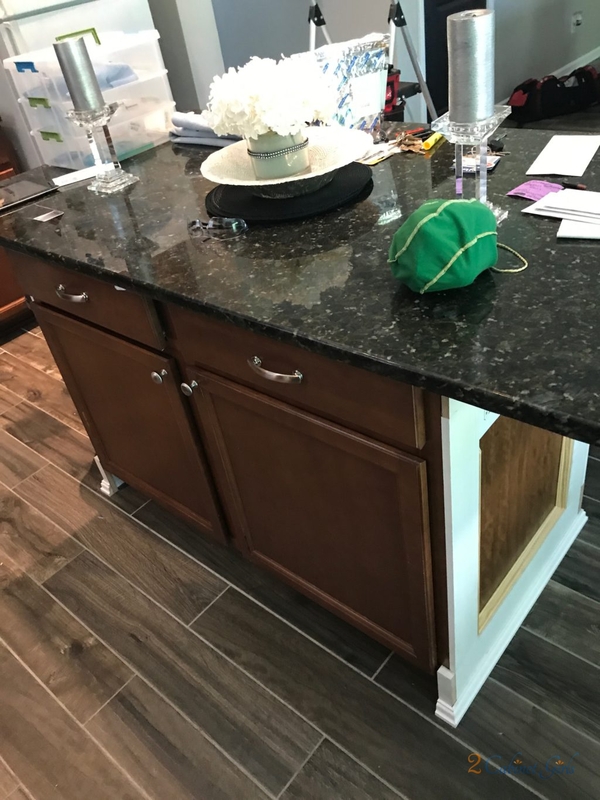 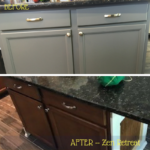 Our homeowner wanted a soft, warm color on the wall cabinets and a rich, dark gray on the island. 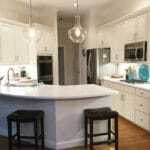 We gave them both – Balboa Mist on the wall cabinets and Zen Retreat on the island. 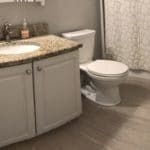 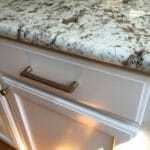 The soft taupe color helps blend the backsplash tile backsplash with the amazing granite. 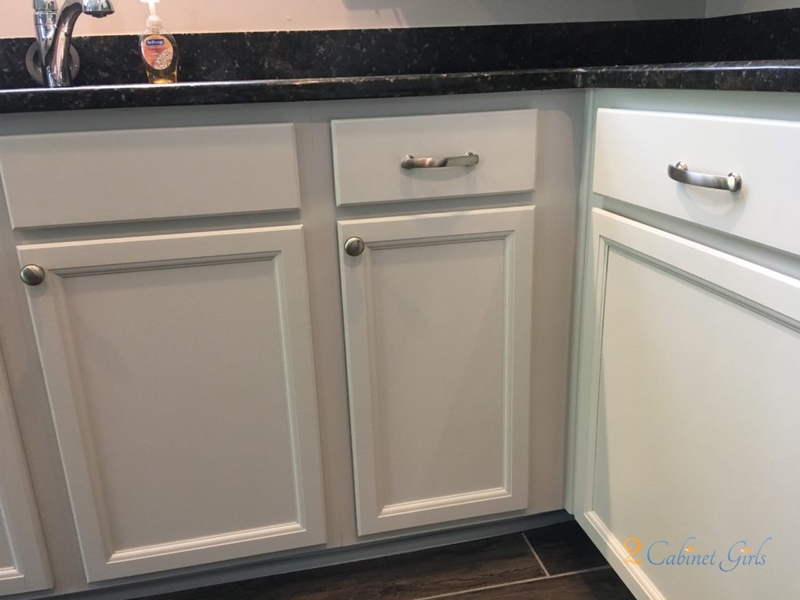 And the new brushed nickel pulls and knobs really pop against the paint!